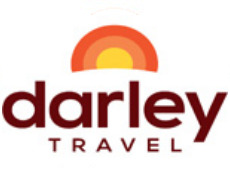 "I have used the service of Darley Travel for over 10 years. They're great." The average temperature ranges between 75 and 85°F. From June to October, the temperature can reach into the 90's, especially in the late summer months. A constant trade wind keeps the climate at a very comfortable level. These oddly named and misshapen islands may not be the prettiest in the Caribbean, covered as they are with cactus and thorny acacia trees. They are, however, fringed with exquisite beaches and several hundred miles of coral reef that keeps the Turks and Caicos on the world's top 10 dive list. In 1965 the capital city's telephone operator was also the local jailer and the communications network was a hand-cranked telephone in a wooden shack. Since then, Karaoke and Club Med have arrived, but most of the archipelago remains rural and undeveloped, swinging along to its own bucolic pace. The only time to consider not going to the Turks and Caicos is the sweltering four months of August to November, when the daily average high is 32°C (90°F); when the trade winds die it nudges over 38°C (100°F). During the Northern Hemisphere's winter, spring and summer (December to July), the average daily high is milder. The peak tourist season is between winter and spring (mid-December to mid-April). Probably the best time to visit is between mid-April and July. Grand Turk hosts a two-day Summerjam every June, featuring live bands and beauty contests. June brings the Queen's Official Birthday Celebrations to Grand Turk, which features the police marching band whipping up jingoistic fervor. In July, Grand Turk hosts a Rake 'n' Scrape Festival, with bands playing traditional island music; and Provo puts on its week-long Summer Festival, the biggest bash of all, with regattas, parades, partying and a Miss Turks & Caicos Beauty Pageant. Grand Turk's Carnival is a week-long festival in August with reggae and (of course) dancing. Grand Turk is a treeless, brush-covered, bean-shaped dot of an isle. The island is dominated in the middle by several salinas, or salt ponds, often odoriferous reminders that 'white gold' was the island's most important industry until its collapse in 1962. There are nice beaches at Cockburn Town, Waterloo and White Sands Beach. Cockburn Town, the sole settlement on Grand Turk, has been the administrative and political capital of the archipelago for more than 400 years. Today it also claims to be the business and financial centre, yet it remains as sleepy a Caribbean capital as they come. There are only two main streets, smothered in sand, trod by an occasional donkey and lined with pastel-painted colonial buildings. Downtown also has many Bermuda-style wooden houses erected by the wealthy Bermudian expatriate society that once dominated the salt trade. The waterfront has the best sights in the capital, including historic government buildings surrounding a small plaza where a Columbus Monument claims cheekily that the explorer landed here in 1492. Nearby, four large cannons point to sea, where a nearby coral reef is protected within the Columbus Landfall National Park. It's worth nipping into the General Post Office to admire the Philatelic Bureau's beautiful stamps, for which the Turks & Caicos are justly famous. The Turks and Caicos National Museum displays eclectic miscellany such as exhumed shell tools, beads, stamps, locks, and greenstone celts. Its central exhibit is the remains of the Molasses Reef, the oldest authenticated shipwreck in the Americas. As recently as 1964, the island of Providenciales (colloquially called 'Provo') did not have a single wheeled vehicle. In 1990 the 230-room Turquoise Reef Resort & Casino opened on Grace Bay, giving the island both its first large hotel and a long-awaited casino. Provo is now the most developed island for tourism, boasting many resort hotels, an 18-hole golf course, and miles of roads. This development darling of the chain is suddenly popular with retirees from around the world; the past decade has seen blossoming residential development, especially luxurious villas along Sapodilla Bay. Given its recent evolution, the island has an atmosphere that's more reminiscent of the Florida Keys than the Bahamas, and it has little of the character of other Caribbean islands. Provo has a trump card, however: its diving. Miles and miles of coral reefs are temptingly close to shore. Sun-baked Salt Cay, southwest of Grand Turk, is a mere speck of land, but steeped in character. It's something of a museum of 19th-century industry, with its decrepit windmills, salt sheds and smelly salinas. The modern history of the country begins here in the mid-1600s, when Bermudian salt traders settled. They created ponds linked to the sea by canals and sluice gates, with windmills controlling water flow. At one time, the cay was the world's largest producer of salt: in its heyday, over 100 vessels a year left the island for the US with their cargo of 'white gold'. Today things are less hectic and the island still awaits its first asphalt - though it has barely half a dozen cars. Donkeys, wild cattle and iguanas far outnumber the 125 human inhabitants. Historic Balfour Town boasts several old two-story homes with wide verandas and jalousied windows. The most noteworthy attraction in town is the splendidly preserved White House, a stately salt-merchant's manor built in 1835 with ballast stone. Next door is the old wooden Treasury Building, where salt-workers once collected their pay; and, nearby, St John's Anglican Church and the District Commissioner's Office, housing the old jail. If this sounds too modest, the local beaches are superb. The easternmost and smallest Caicos island, South Caicos, west of Grand Turk, is an arid wasteland of scrub and sand-blasted streets roamed by wild horses and donkeys. The big attraction is scuba diving: a reef with a plummeting wall runs the length of the eastern coast. Cockburn Harbour, the only town, is a rough-edged place with a somewhat sullen population and a rakishly appealing down-in-the-dumps shantytown feel. Corrugated-tin-and-driftwood shacks are interspersed amid modern bungalows and handsome, albeit weathered, colonial-era wooden structures left from the salt-trade era. Most historic buildings are at the southeastern end of town, centred on the old Wesleyan Church. The harbour is the perfect spot to launch across the Caicos Bank in search of bonefish. Birders should check out the flamingos which inhabit the vast salinas on the northeastern edge of town. Much of the island is within the Admiral Cockburn Land & Sea Park, north and east of Cockburn Harbour. It encompasses the Sail Rock Hills, a ridge extending along the panhandle and rising to a giddy 178 feet (54m). The hills offer spectacular views east over the Turks Island Passage and west over Belle Sound, a vast turquoise bay opening to the flats of the Caicos Bank. The reserve, extending west, protects mangroves, bonefish flats and coral reefs. This small island, about 6 miles southwest of Provo, is renowned for its diving. Thelong island is fringed by the Molasses Reef, which harbours the remains of the oldest known shipwreck in the Western Hemisphere, dating from 1509. The reefs off the west shore are protected within West Caicos Marine National Park. Other prime dive sites include Elephant Ear Canyon, named for the biggest sponges found in the Turks and Caicos. There's also the Magic Mushroom: A sand chute leads to a precipice where sponges and black coral anchor the coral buttresses. Lobsters pack the cracks. Inland, Lake Catherine is a nature reserve that attracts flamingos, ospreys, ducks and waders. This smelly place near the northeastern tip of Provo claims to be 'the world's only conch farm'. It strives to protect the Caribbean queen conch (Strombus gigas) from extinction and also raises the mollusks commercially for export and local use. The farm was the brainchild of Chuck Hesse, an environmentalist who after years of research can now produce a consumable mollusk in 28 months, from egg to adult conch. Chuck reckons he has 2 million conchs in the ponds and an additional 1 million offshore in 'pastures' fenced to keep predators at bay. Annual production is over 750,000 conchs a year, with 10,000 harvested weekly. They're worth US$1 apiece! You can learn how conchs are grown from egg to adults on a tour. This park protects 24km (15mi) of underground caverns -- one of the largest cave systems in the Caribbean region. Some have lagoons and stalactites and stalagmites, often dramatically plaited in curtains. Most have colonies of bats. They were used as sacred sanctuaries by the Lucayan Indians, who left petroglyphs on the walls. There are at least 38 pre-Columbian Lucayan sites on the island, many of which have been excavated by archaeologists. The most notable is the Armstrong Pond Village Historical Site. The largest of the Caicos islands is also some of the least developed, with barely a handful of vehicles and no convenience stores or nightclubs. But the fishermen and farmers in the tiny hamlets of Conch Bar, Bambarra and Lorimers give visitors a warm welcome. The southern half of the island is composed of vast intertidal swamplands. Off-shore, Vine Point & Ocean Hole Nature Reserve protects a frigate-bird breeding colony, plus a massive marine blue hole favoured as a hangout by turtles and sharks. The paved road from the airfield to Lorimers is good for bicycling, with plenty of beachside stops along the way. The island boasts miles of beaches, large freshwater lakes and lavish pine forests accessed by trails along the north coast as part of the Middle Caicos Reserve & Trail System. Little-visited North Caicos is of prime interest to ecotourists. It gets more rainfall than other islands and hence has lusher (though unspectacular) vegetation. It has traditionally been the bread basket of the island chain. Farms evolved in colonial times and fine sloops were built to transport the crops to the other fruits and vegetables still thrive beside sugar apples and sea grapes. There are four tiny settlements, notably Kew, near the island's centre, and Bottle Creek, on a breezy coastal bluff 2 miles south of the airport. The Kew area has several historic ruins, including the Wades Green Plantation, granted to a British Loyalist by King George III. North Caicos hosts the Festarama Festival each July.